Early Sept Update: Tommy's indicated in late August that the Ventura location will open "at the end of this year or sooner." These burgers must have a kick as evidenced by the legs on this sign!Originally posted in mid-July: Original Tommy's will soon be opening in Ventura, off the Victoria Avenue 101 exit on Valentine Road. 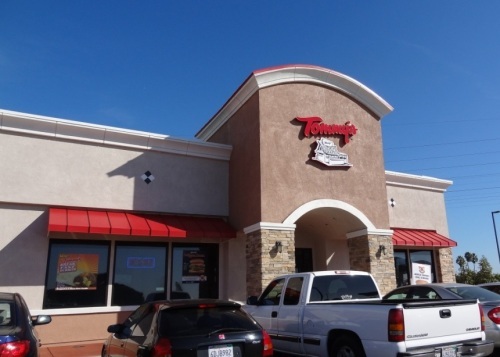 This will be the 2nd Original Tommy's location in Ventura County...the other one is at 1290 Madera Road in Simi Valley. The ORIGINAL Tommy's opened on May 15, 1946 in Downtown Los Angeles. I remember going there as a kid. Always felt like a special treat. Visit Facebook page at www.facebook.com/OriginalTommys.